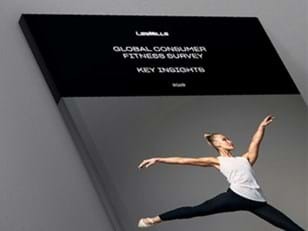 Anyone who's ever trained for ballet, or is simply seeking a new kind of self-expression, will love LES MILLS BARRE. A uniquely elegant form of strength and stability training for your members, freed from the traditional ballet bar, LES MILLS BARRE delivers a beautiful burn. Want to get a feel for LES MILLS BARRE? Watch our latest workout trailer below. 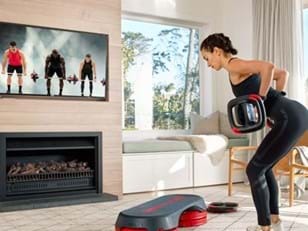 LES MILLS BARRE™ is a modern expression of classic balletic training; a 30 minute workout designed to shape and tone the muscles, build core strength, and allow your members to escape the everyday. Beautiful does not mean weak. Ballet dancers are the world’s strongest athletes, their grace and elegance shaped by focused, intense training. LES MILLS BARRE appeals to members who want to build real strength and core stability without losing their sense of elegance and grace. If they have ever enjoyed the escape of ballet, or are just seeking a different kind of exercise experience, LES MILLS BARRE is the perfect way to escape ordinary and lose themselves in an expressive, beautiful workout that delivers incredible physical results. LES MILLS BARRE offers a beautifully crafted and authentic ballet-inspired workout that provides a new experience for your existing members and attracts an audience that may have not considered you before. It also adds a new, on-trend workout that will help your club compete against local boutique studios, as well as tapping into the talents of Instructors with a background in dance and offering them a new opportunity to help you develop and grow your club’s audience. No need to install a ballet bar if you don’t have one. Members only need two small hand weights and an especially engaged core to get them through the workout. Interested in adding LES MILLS BARRE to your timetable? Get in touch.